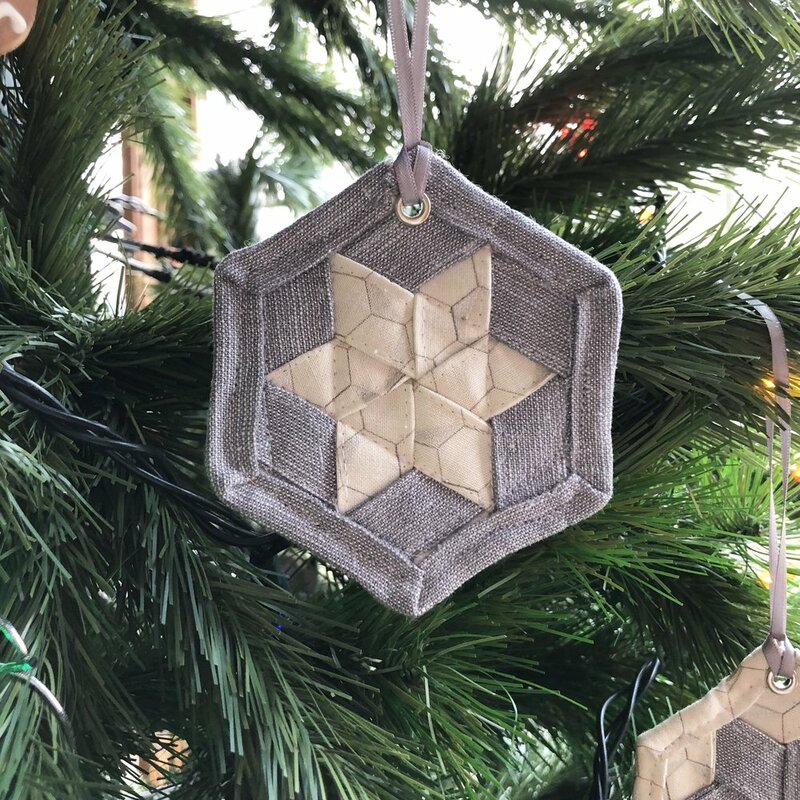 What a quick and fun triaxial weave project for this week's ornament. 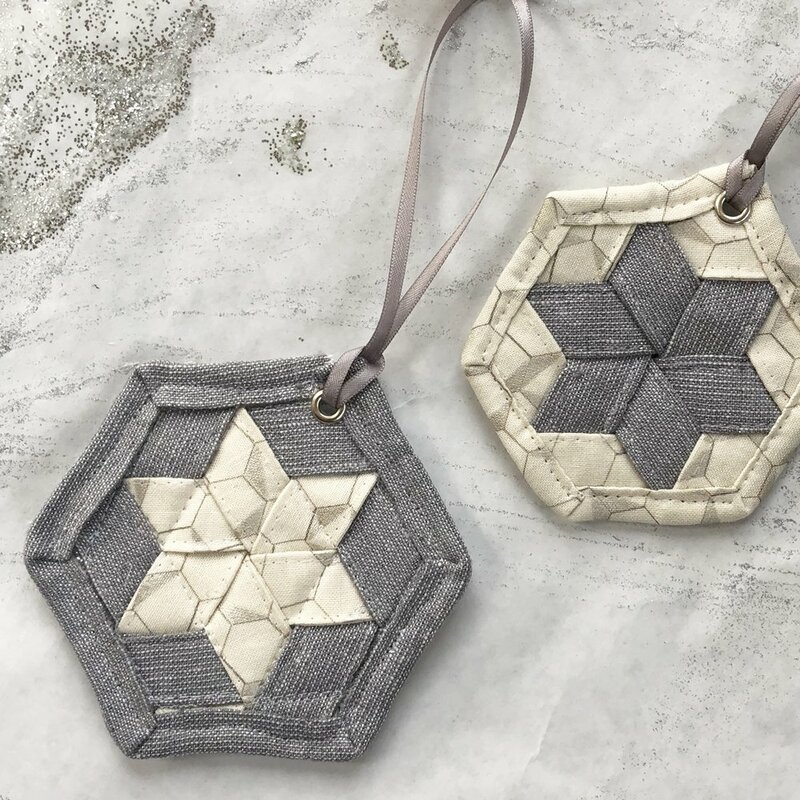 The contrast and visual impact of the woven hexie is real. I notice them right away when looking at my tree! I made mine in Shimmer On Fabrics by Jennifer Sampou for Robert Kaufman, and some silver Manchester Metallic from Robert Kaufman. I'm excited I had a chance to use the WEFTY on an ornament. This would be a great introductory project for any of you who haven't tried weaving yet! It's addictive, and lots easier thanks to the WEFTY Needle. I love this photo Mathew took! Make sure to visit Mathew for the full tutorial on his blog! This week’s prize is sponsored by Aurifil. The lucky winner will receive this small thread box of Pat Bravo’s Rustic Vive Thread Collection. So make sure to use the hashtags #ornamentalong and #wovenhexie to be eligible. And congrats to @lisberry for winning last week’s awesome prize.